Euro is still moving between levels of 61.8%. Probably, pair may form slight correction in the nearest future. However, if price rebounds from current levels, market will start new ascending movements. Otherwise, current correction may continue. 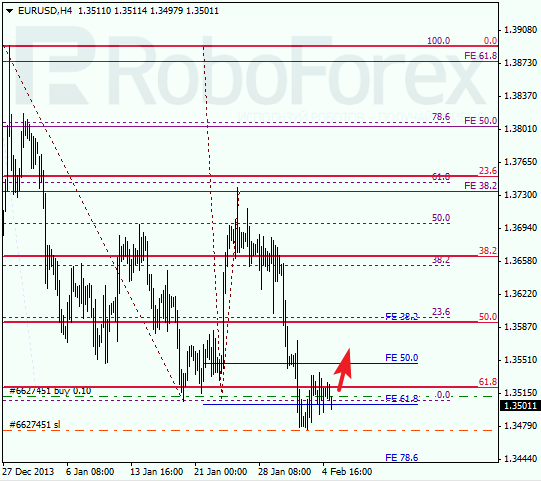 At H1 chart we can see, that price rebounded from lower border of its target area right inside temporary fibo-zone. Closest target for bulls is at local correctional level of 38.2%. If market breaks it, pair will continue growing up. At H4 chart, Franc rebounded from level of 61.8%. Later, after completing current correction, market may start new descending movement. I’m still a bit in a drawdown, that’s why I don’t open any new orders. 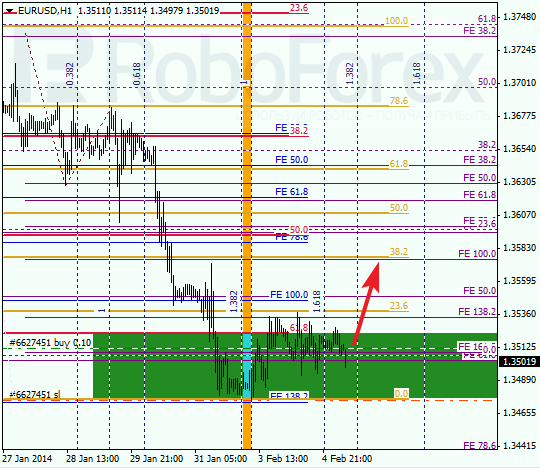 Market was just several pips shy to reach local correctional level of 38.2%. Two of the latest temporary fibo-zones indicated the exact points of reverse. Possibly, pair may reach new minimum during the day.